List your boat for sale before the 30th April and PAY NOTHING until your boat has sold. After the popularity of the storage offer we ran in the Autumn, we have decided to launch it again between now and the end of April. 6 reasons to base your boat in Palma. Have you ever dreamt of berthing your boat somewhere that is sunny all year round, is easy to get to, has plenty of places to explore and great food and drink?! Click below to find out more and to secure an appointment. 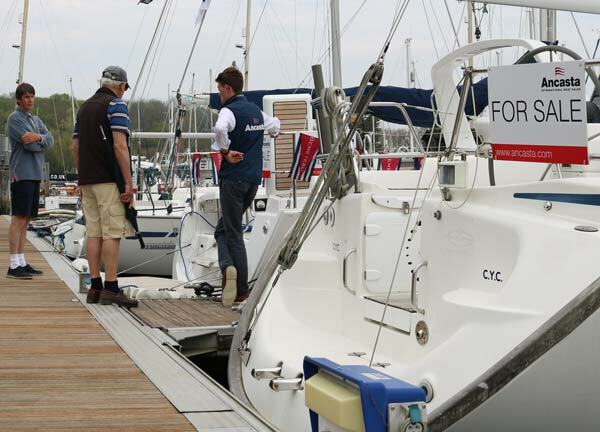 Back for it's second year, the Chichester Boat Show will be held on 27th & 28th April in Chichester Marina. We have a little space still available so if you are looking sell a boat, contact us now as this is a great opportunity to showcase your yacht or powerboat. The newest UK boat show will be held at Ocean Village Marina, featuring new boat models from all the major power and sailboat brands. Ancasta will be presenting the best from Beneteau and Lagoon at this years show. To find out more and to register, click below. With over 35 years of experience, Ancasta yacht brokers are qualified to advise, assist and guide you through the boat buying process. Ancasta will safeguard your investment and ensure your total protection throughout the purchasing process resulting in the ownership of the most appropriate boat to suit your needs. Contact your local office. Specialists in all forms of standing and running rigging. Manufacturers of rod, composite and wire rigging and service agents, distributors and suppliers for some of the worlds leading brands including: Reckmann, OYS, Leisure furl, Future Fibres, Gottifredi Maffioli, Kingfisher and Liros Ropes.